Back in 1925, Woodlanders were excited to learn that world famous horticulturist Luther Burbank had accepted State Agricultural Commissioner George Hecke’s invitation to be the guest of honor for Woodland’s Arbor Day jubilee, scheduled for February 12. The big buildup for the Arbor Day celebration was met with grave disappointment when a heavy storm led to the cancellation of the event. 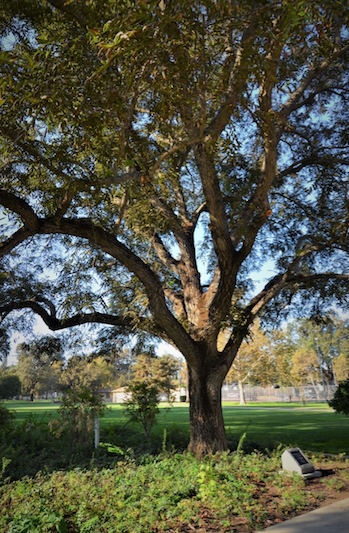 A few days later, Burbank shipped a Paradox Walnut tree to Woodland. Today this large, lovely tree’s spreading branches still grace the corner of Walnut and Oak streets.